Dutch Legend Louis Van Gaal has for the first time spoken about anything related to his ‘impending’ move to Manchester United. The 62 year old who is preparing for the World Cup kickoff for the Netherlands national side erupted over a question from a BBC reporter. When asked whether he would love to take over the reins at Manchester United, Van Gaal appeared to be angry and responded in a harsh tone. 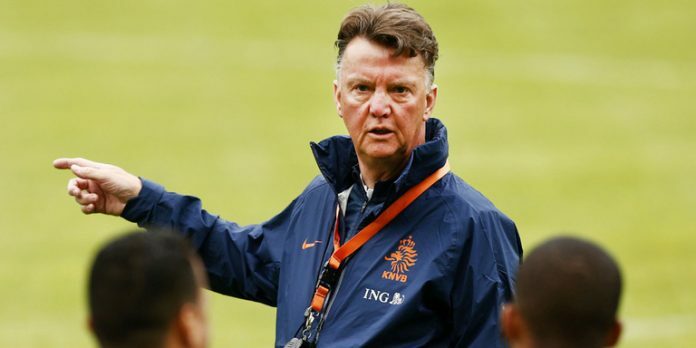 Van Gaal however was quick to respond that he would relish the opportunity to take over at Old Trafford. Guss Hiddink is set to take over from Van Gaal as the Dutch national coach after the World Cup ends but expectedly Van Gaal is unwilling to be drawn over his future which would distract Holland’s World Cup where the Oranje are certainly one of the favourites. World's highest paid youngster plays for Man Utd, and PSG almost stole him!